I am lucky that every morning I get to start my day off by greeting hundreds of kids. 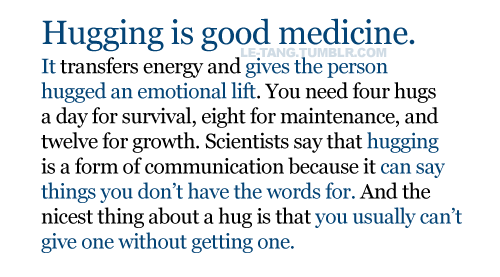 Some get high fives and some get hugs. But one in particular. One precious little six-year-old girl always asks me for a pick up hug. And she expects no ordinary pick up hug. No, I must hug her, pick her up off the ground and carry her across the cafeteria. Sometimes if she is lucky, I am able to carry her all the way to her classroom. Actually, I think I have that backwards. I am the lucky one on those days. I love this post! I remember my friends saying that I was going to The Dark Side when I got promoted to AP a few years ago. Thank you for highlighting the human side of being an AP. I, like you, choose to dwell on good things. Thank you so much. I like to believe in the Force and at leasr we can get rid of the image of The Dark Side. Thank you for taking the time to comment.